Pennsylvania can be found in the Northeastern and Mid-Atlantic regions of the USA. The state’s capital – Philadelphia with its beautiful architecture, monuments, museums and vibrant live - itself is a place to visit and “to be”. Being more specific – Philadelphia’s Zoo is the first zoo of the nation and it is definitely worth to visit. Certainly you will also not regret visiting the Carnegie Museums in Pittsburgh, and the Philadelphia Museum of Art. Make sure you visit the Houdini Museum of the legendary magician. If you would like to visit amusement parks, the Camel Beach, Conneaut Lake Park, Dorney Park & Wildwater Kingdom, Dutch Wonderland are some of the best that you can find. Gettysburg campground is located in a green area near the beautiful Marsh Creek. It is a family owned campground. It has total 242 spaces including 35 pull-thrus and 98 with full hookups. You can choose from 50 and 30 amp services. Tenting is also possible here. The price includes internet and several facilities that you can use to make your stay more comfortable. Some of these include restrooms and showers, but there is also laundry room and dump station. Right on the campsite there is a pool; other activities like mini-golf, horseshoes, playground and a game room are available for guests. There is a pavilion and a recreational hall. Across the campground your will find picnic tables, you can make your own barbecue using fire-wood purchased from the camp store. The store also offers groceries and all kind of “basic” stuff. Marsh Creek is in close proximity to the campground so you can enjoy swimming and other water sports. Note that this campground is “pets-friendly”. The campground is quite close to historical Gettysburg Battlefields as well as to “tourist-attractive” cities like Lancaster, Hershey, Baltimore and Washington DC…..
Gettysburg Campground (Pennsylvania) - site map. For a family “fun time” stay at Twin Grove RV Resort. They are close to the Amish countryside. The park is seasonal, it opens in spring and closes in late fall. It is quite big, with 153 sites, all equipped with full hookups with 30 and 50 amp services. 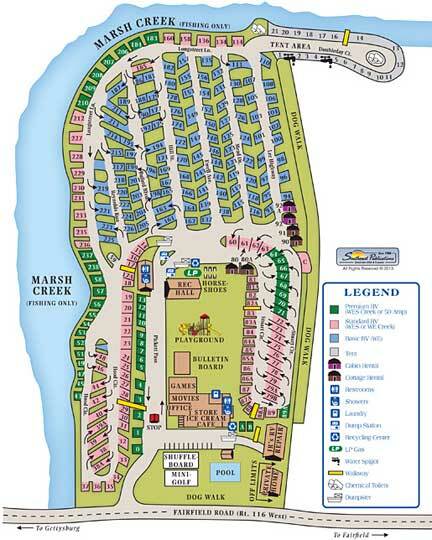 The RV Resort can accommodate any RV including motorhomes as they have plenty of space for slide-outs. You can use WiFi & cable TV free of charge. The restrooms and showers are clean, and you can do laundry in the laundry room. This park is perfect for kids, there is a game arcade, Ferris wheel, 2 pools with slides and planned group activities. You can rent a bike here and even rent a Teepee. You can buy ice, firewood and newspapers at the park’s store. You can come here with your pets (on the premises there is an enclosed dog run). Harrisburg sightseeing opportunities are less than half an hour away from the park! Lake-In-Wood Resort is a big RV park with over 400 sites. It is located close to the town of Narvon. There are 125 full hookup sites with 30 and 50 amp service. There are lots of trees on the campsite, so you will have enough of opportunities to stay out of sun. Tent sites are also available. Parks offers activities for people of all ages. You can enjoy all that the lake has to offer such as fishing, paddle boats and other water activities. Besides this there is a wading pool, a heated pool game rooms, mini-golf course and playground. So basically everybody can find something interesting for the pass-time and relax. You can get groceries, ice, firewood, LP bottles and RV supplies from the park’s store. Please note that this RV Resort has restrictions for pets! In the area you can visit the Amish Village, Antique and Flea Markets, New Holland Sales Barns, French Creek State Park, Valley Forge National Park and more….. This big-rig friendly campsite has 33 full hookups. It is located on beautiful green grounds with large sites and since the park itself is not so big, you can enjoy here silence of nature. Not only that the restrooms and showers are very clean, but so is the big heated pool. There are plenty of water activities thanks to Shenango River. In the heated pool you can relax all day long, and for kids there is a playground. In the case of bad weather you can chose park’s game room and recreational hall. On premises there is a grocery store and the snack bar. And just to remind you – you are here in the “Amish Country”, so you will find Amish villages and plenty of flea and farmer's markets. This campground is open all year long. It is a family owned and operated campground with lots of green areas. It has 21 full hook-up sites, 7 pull-thrus with 30 and 50 amp services. 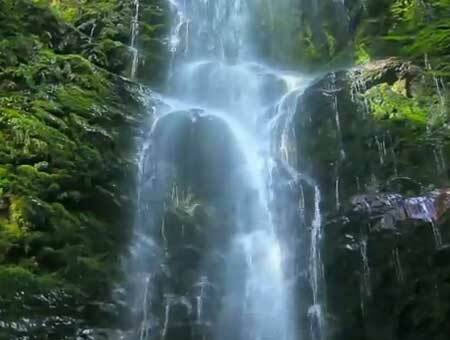 It is located right by the Mountain Creek, so you can enjoy what the river has to offer. Good news - there is also a heated pool and even a spa for those preferring “warmer” waters.Groceries and newspapers are available at the campground’s store. As expected these days free internet is available for guests. Pets are welcome. Many campgrounds have websites that list their amenities and some points of interest in the area. This helps to give you an idea of where to go and where to stay when traveling with a motorhome trailer, pop up camper or another type of recreational vehicle. 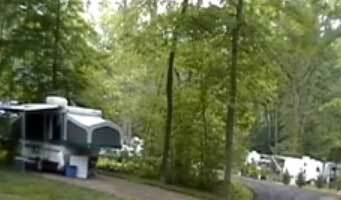 Look at a directory of campgrounds: tent and RV camping parks Pennsylvania (PA) and find a beach camp or some other type of campgrounds that may be the best place to take your family when traveling in a motor home or a pop up camper. You will see a mobile home, pop up camper and other types of campers when traveling around the country. People love to get out and meet new friends and share stories. Look at a directory of campgrounds: tent and RV camping parks Pennsylvania (PA) to get started looking for some great areas to set up camp and share experiences with fellow campers.